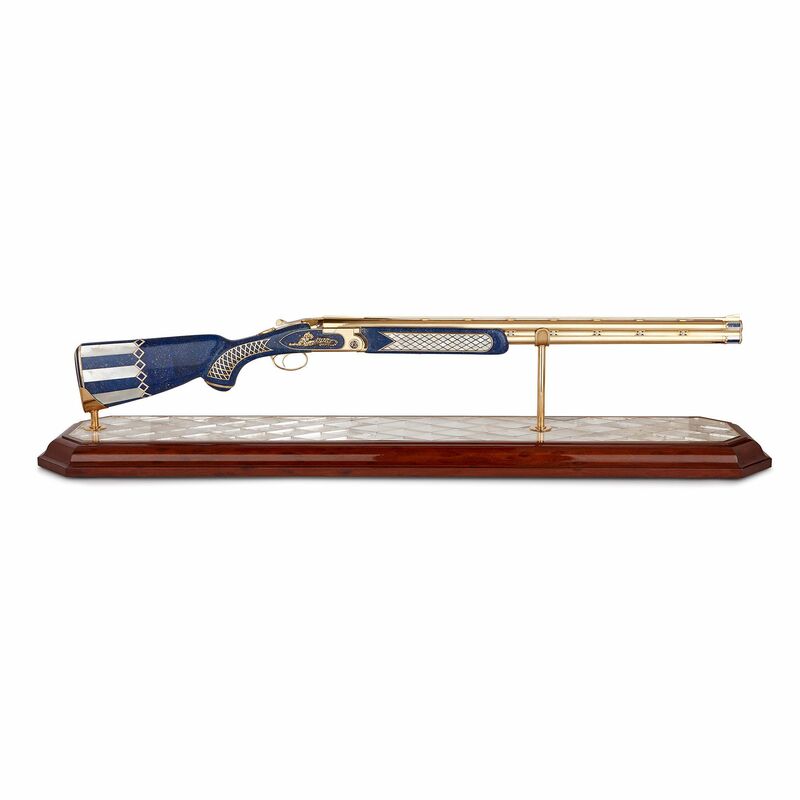 This exquisite 18 karat gold rifle is lavishly decorated with the blue gemstone, lapis lazuli, with fine mother of pearl, and 954 diamonds (34,2ct). This rifle has been crafted from 18 karat gold, and the stock to forearm veneered in the deep blue gemstone, lapis lazuli. 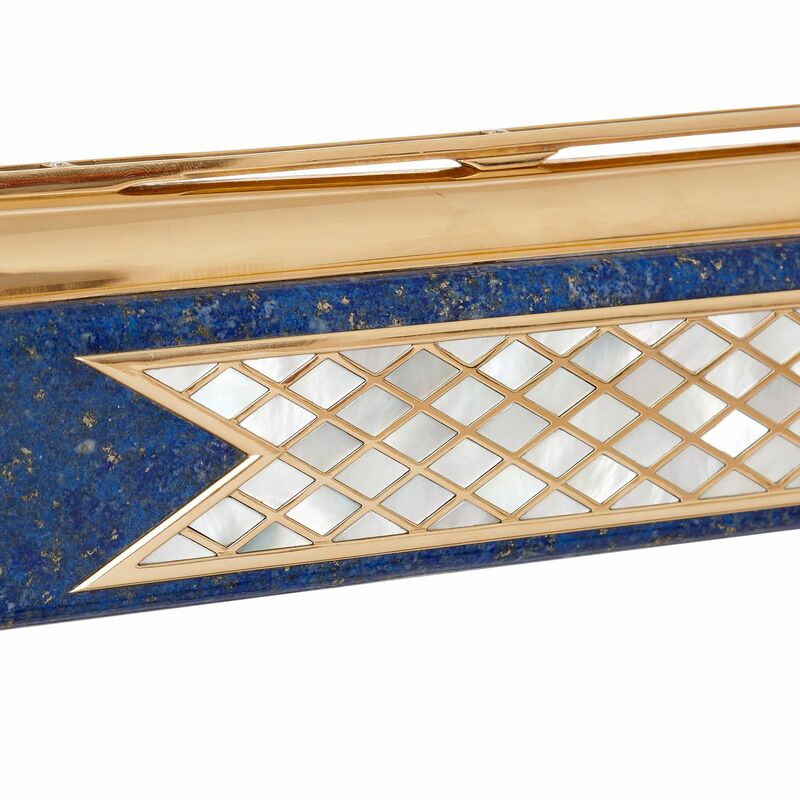 The lapis stock is inlaid with mother of pearl, and decorated with a band of diamonds. 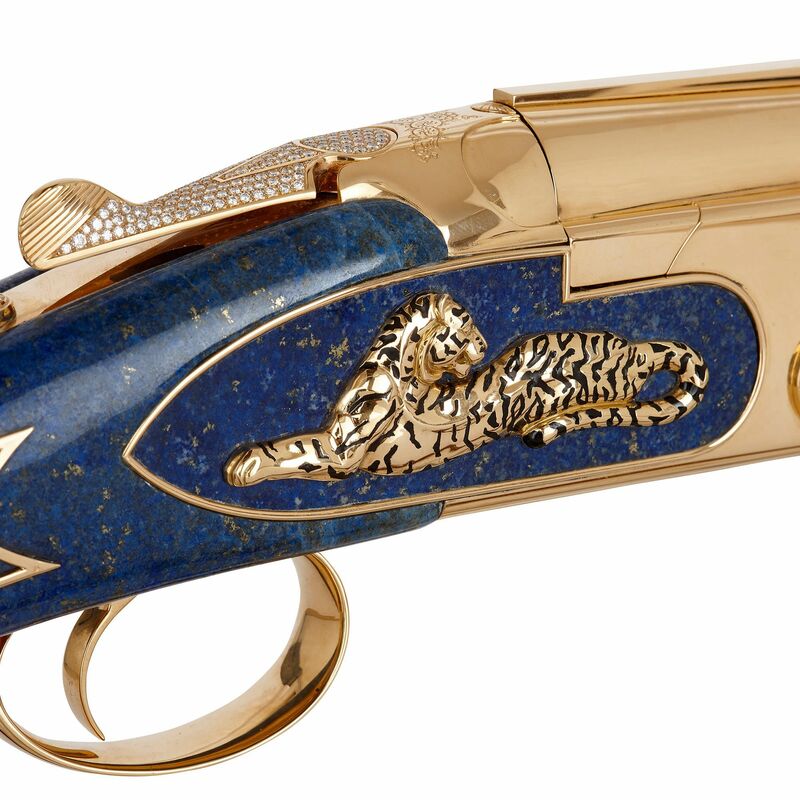 A lattice pattern of gold ornaments the grip, and the area above the trigger features a gold reclining tiger. 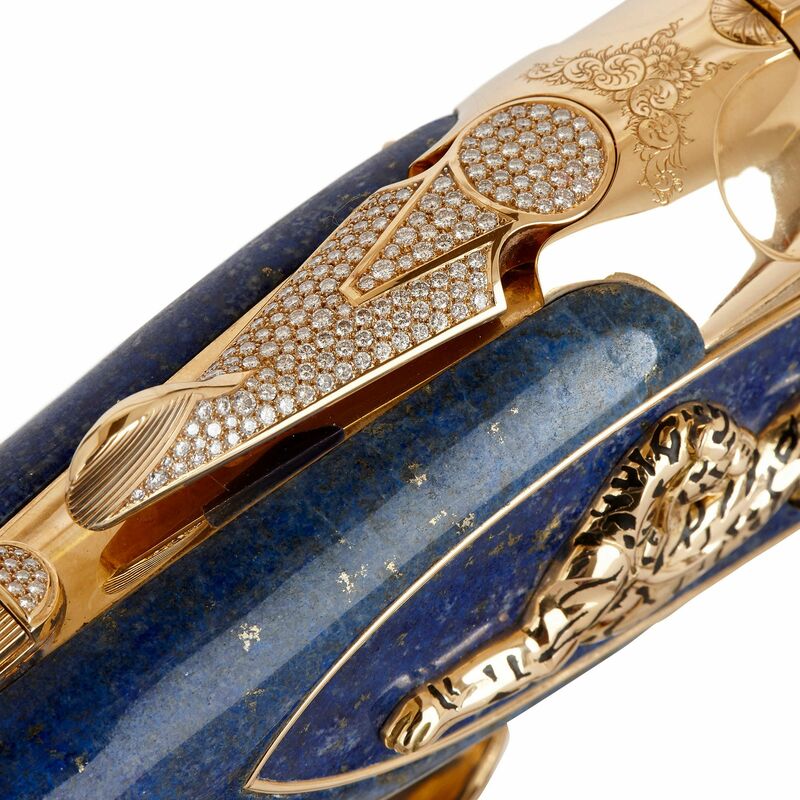 The gold hammer, on the top of the gun, is covered with diamonds. 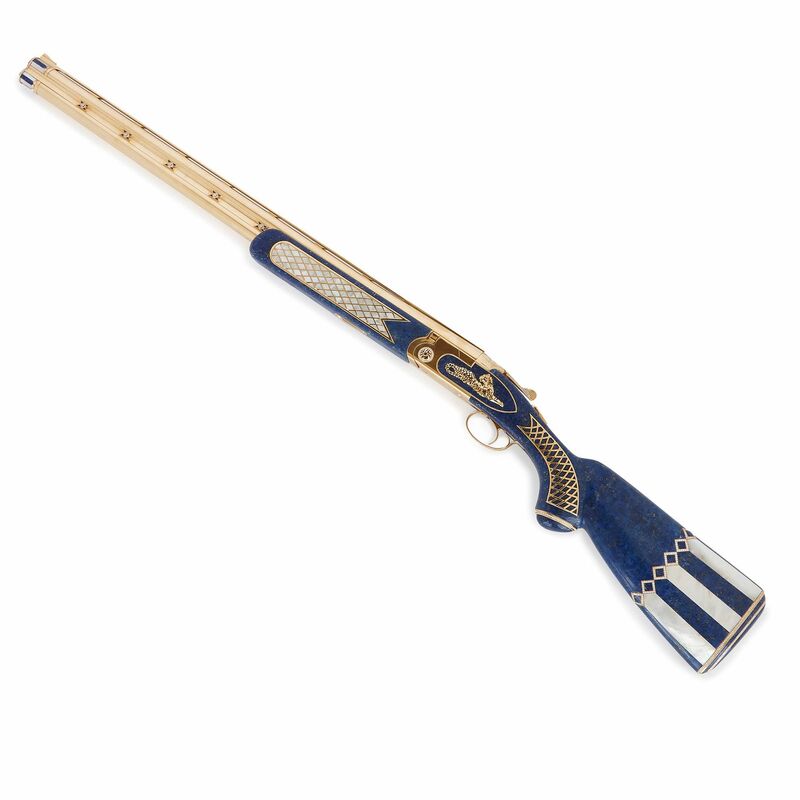 Further down, the gun’s lapis forearm is decorated with a panel of inlaid mother of pearl, and the gold barrel is studded with diamonds. 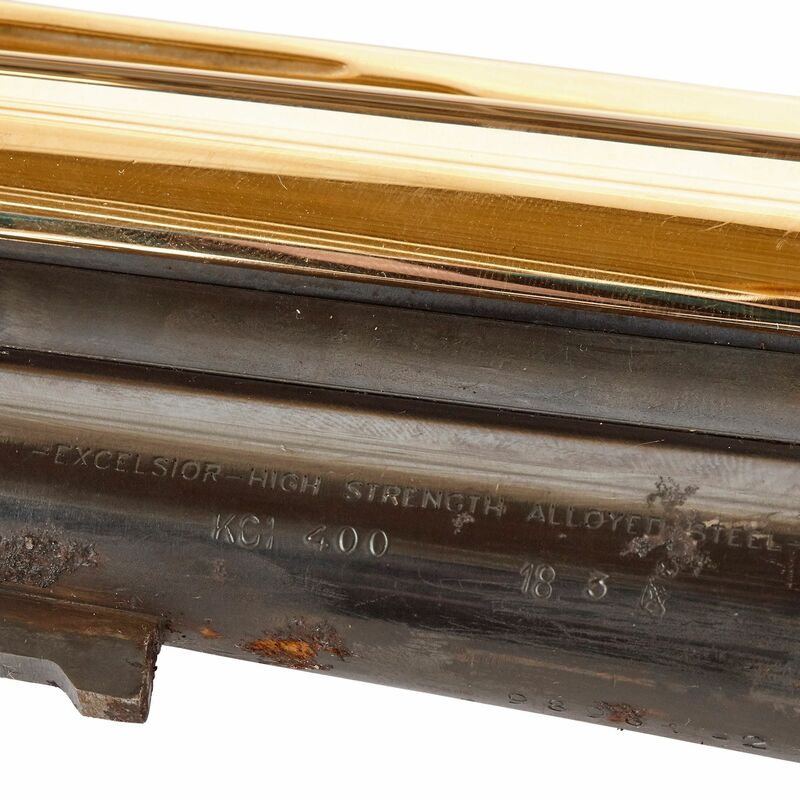 The gun’s shooting mechanism has been disabled. 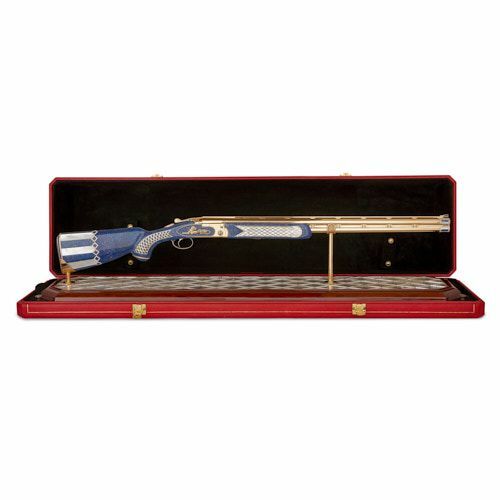 The rifle is displayed on a gold stand in a specially designed red case, with a rock crystal (quartz) over mirror base. 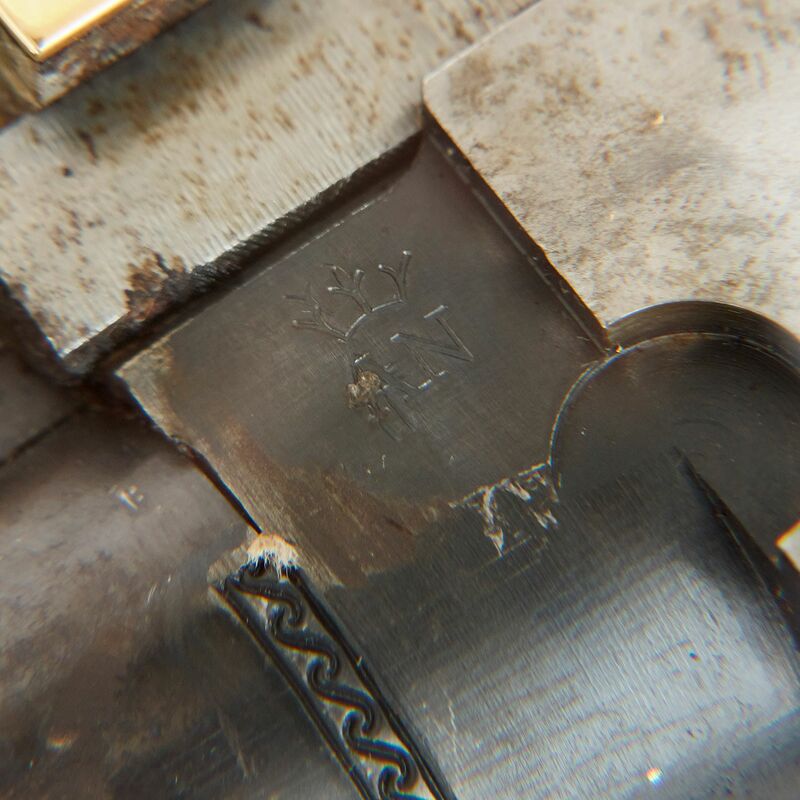 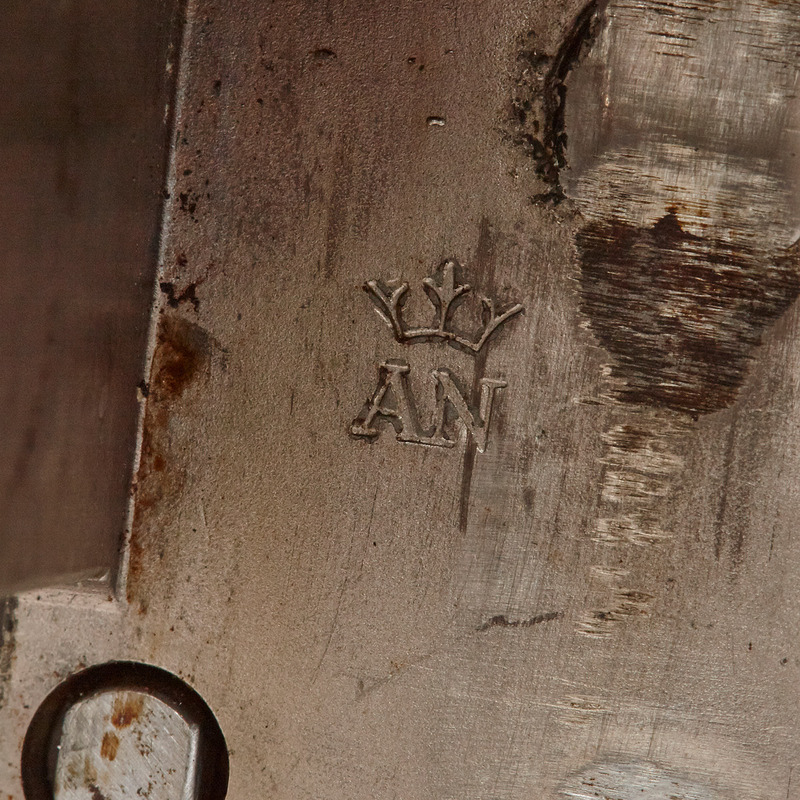 The case is marked, ‘David Morris’, and stamped with the French hallmark for 18K. 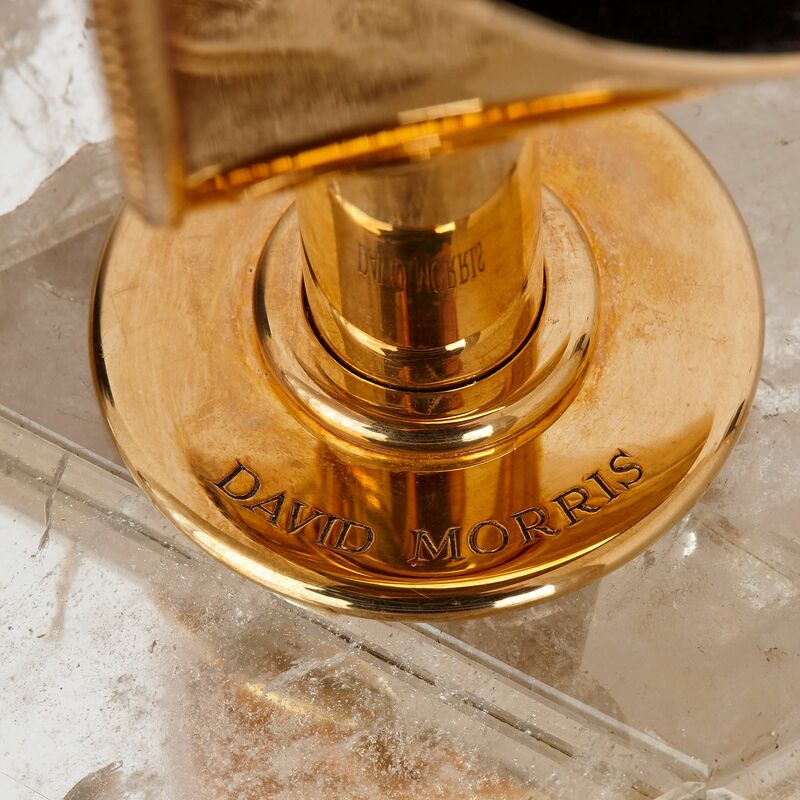 David Morris is a London-based company that specialises in the production of luxury jewellery. 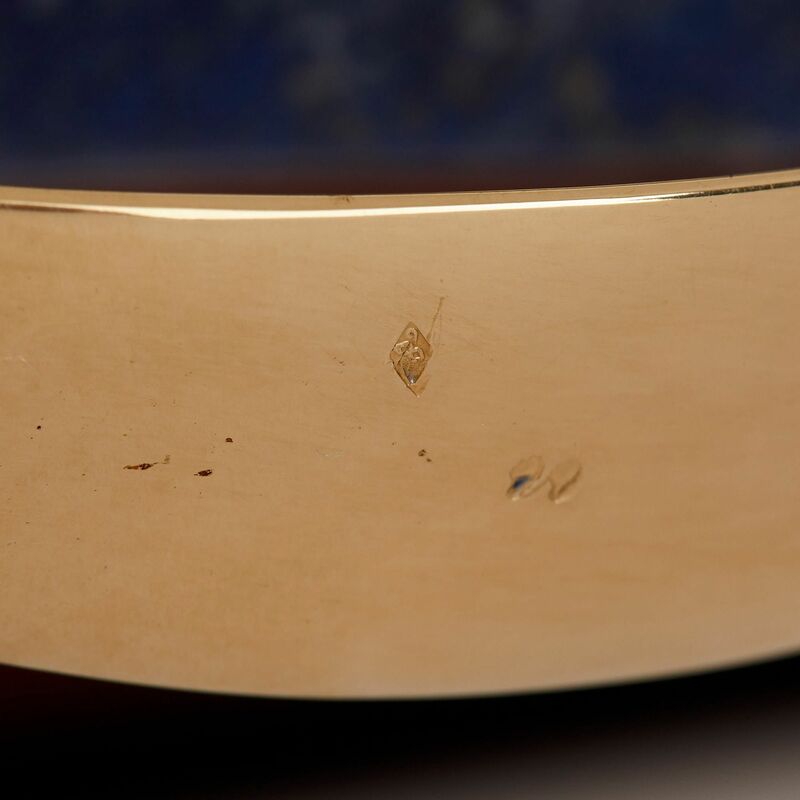 The firm was founded in 1962 by the jeweller, David Morris. 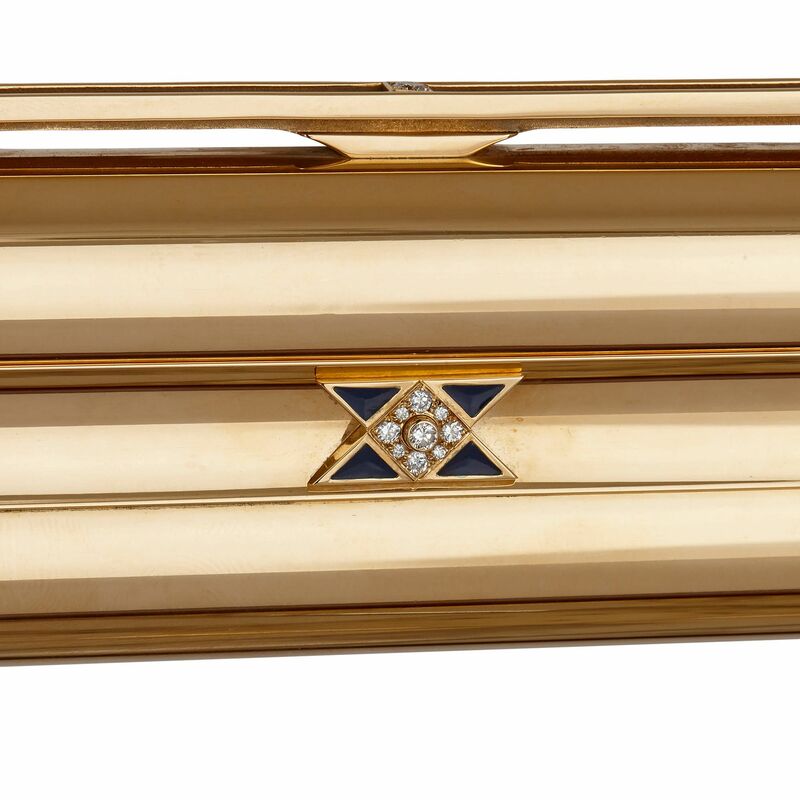 The company supply jewellery to the royal family and to major celebrities. 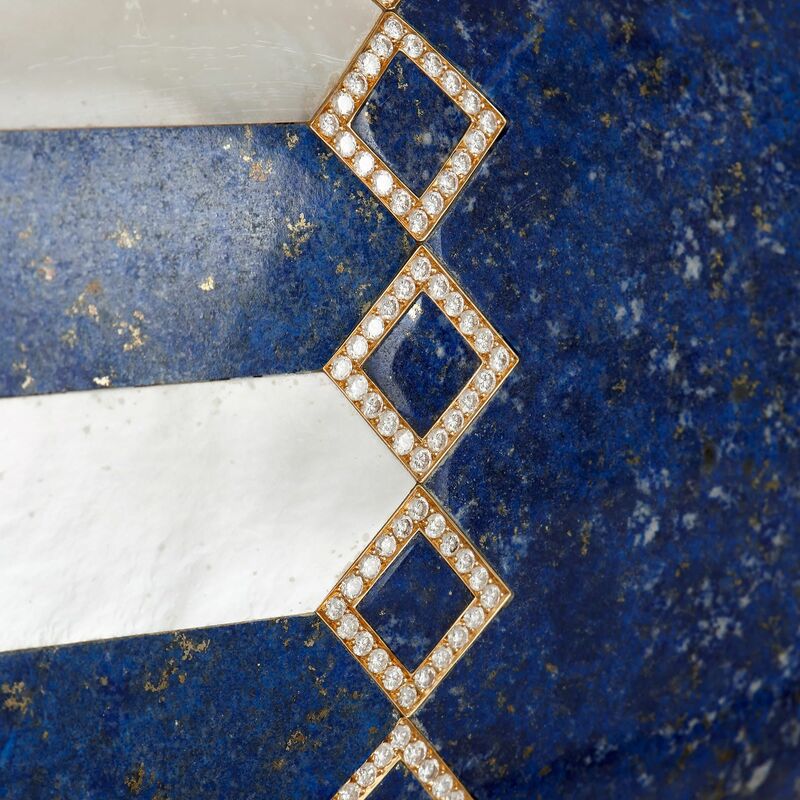 A selection of their designs are displayed in the Jewellery Room at the Victoria & Albert Museum in London.